Depending on the higher demand among the customers Star Tech introduces this small and light weight Xiaomi Mi Portable Bluetooth Speaker. This speaker has full metal casing, weighted 58 g yet powerful enough to create perfect audio balance. 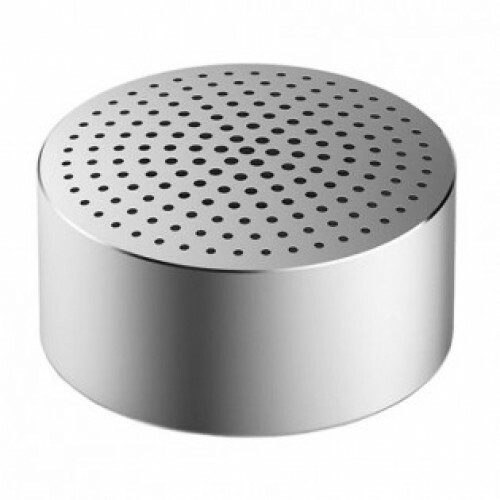 Considering the design this speaker has high-speed polishing, sandblasting, anodizing and high precision CNC cutting for magnificent appearance. Regarding its structure materials are quite durable and the shell is very robust and shock proof and designed in an elegant minimalist style using a seamless technology for excellent look. The new CSR Bluetooth 4.0 chip will provide longer listening with stable signal. Its CVC6.0 technology automatically selects the appropriate sound level depending on the environment you are in. You can place this low priced portable speaker on any surface you like and carry it with you anywhere you want. This amazing Xiaomi Mi Portable Bluetooth Speaker is new attraction to music lovers and available at best price in Star Tech. Order online get home delivery at your location all over in Bangladesh.